It is hard to give a gift to someone who has plenty of possessions already or is simply very hard to pick presents for. But an engraved mirror compact might be just the thing that stands out from all the other gifts they receive and proves to be a well-received success. When you are gift shopping, it is very easy to get overwhelmed by the sheer volume of different options on offer. There are a lot of generic gifts that you know will not evoke a response and will be ultimately meaningless. The popularity of engraved gifts arose from the desire to give something extremely personal, chosen with the individual in mind and with a unique sentiment. Gifting something that you think will pass as a token gesture need no longer an option. Now, you can actually give something useful and sentimental too. 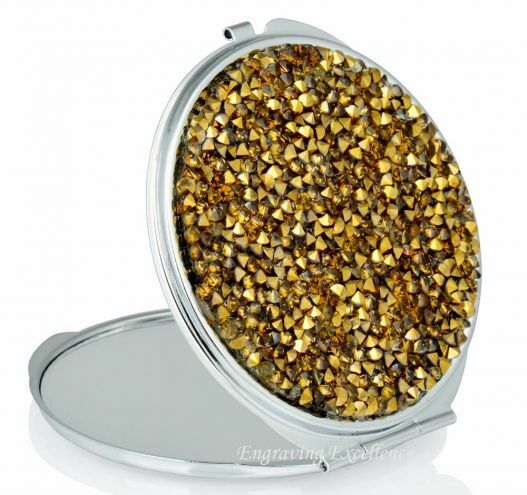 Just about anything can be personalised, and a favoured option for many ladies is an engraved compact mirror. Adding a personalised message shows that you have a bond with the recipient and that you know them well. It also creates and preserves the memory that can be revisited many times over. Whilst others may offer consumables like food items or bath products, an engraved gift can be a welcome change. It can be used as an accessory, or if it contains a commemorative message and is made of expensive materials, it can be passed down to your relatives from generation to generation. It is truly touching choice for a gift, one that shows how much thought and affection you have put into it. An engraved mirror compact is not just a present ? it is also a memory and a message that carries your affection. We at Engraving Excellence aim to help you choose the best gift that will touch the heart of the one receiving it. Visit us at http://www.engraving-excellence.co.uk/ to find out more on what we offer.